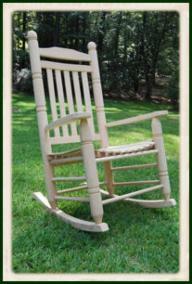 Porch Swings - A Front Porch Tradition! 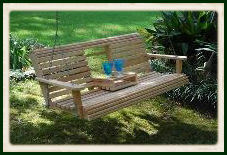 Regardless of where you live, porch swings are a perfect accessory to any homestead. There's nothing quite like a wooden swing to sit and relax in. In today’s fast-paced society, we have a tendency to get so caught up in everything around us that we often times end up missing the best things in life. Here at Cypress Moon, we truly believe in the therapeutic benefits of our porch swings! Therefore, we've proudly adopted the philosophy “Learn To Be Still”. 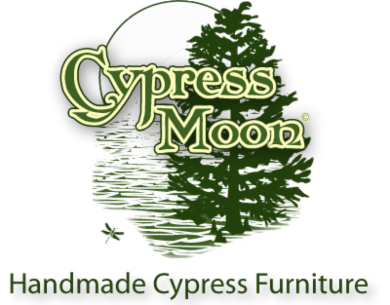 Cypress Moon features beautiful, cypress furniture that is handmade in Louisiana. We're a family-owned & operated business that has been building wooden furniture for over 25 years! Our famous Porch Swings are available in 7 different models: The Classic Porch Swing, Rollback Porch Swing, Flip-down Console Porch Swing, Decorative Porch Swing, Engraved Porch Swing, Swing Chair and Swing Bed. 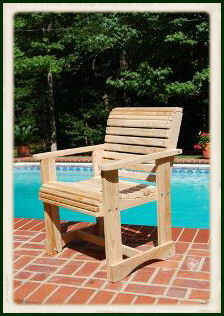 Besides our Swings, we also sell Wooden Gliders, Adirondack Chairs, Garden Benches, Rocking Chairs, Outdoor Chairs & Patio Sets. 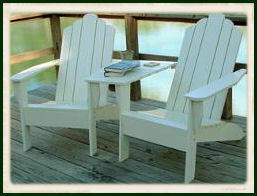 Our rustic, unfinished furniture is constructed from high quality cypress that is harvested here in Southern Louisiana. We take great pride in being a Christian and American owned/operated furniture company and hope that the quality of our craftsmanship proves it! The Cypress Moon Family looks forward to the opportunity of offering you our Cypress Outdoor Furniture and we thank you for visiting us! Cypress wood is nicknamed as the "eternal wood". Cypress has a strong tolerance to environmental elements and has been known as the world's 'wood of choice' for thousands of years. Very few woods match the properties of cypress when it comes to sturdiness and strength. Cypress wood can be easily identified by its handsome, straight grain that portrays a gorgeous array of colors. This unmatchable beauty is enhanced by life long durability. Cypress contains a naturally occurring chemical called Cypressine that preserves and protects it from decay and insects. Because no harsh chemicals are needed to protect the wood, our products are Eco-Friendly and allow Cypress Moon to be labeled as a Green Furniture Company! In addition, cypress has little tendency to warp, twist, or cup. It even matches up to teak wood in outdoor performance, yet cost sometimes 10 times less. Because of its beauty, natural durability, and broad versatility, cypress' popularity continues today! Soul Harvest sells all original Christian Shirts and Clothing, including: Revelation, Christian Fish, Green Christians, Laminin, Vintage Retro and Cowboy Church Shirts!